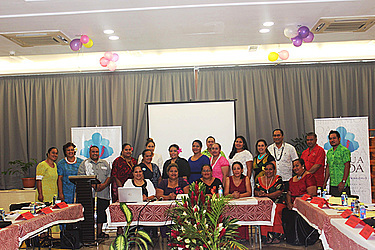 The desire to become great leaders of Samoa is the motivation for 23 new members of the Leadership Samoa Programme. 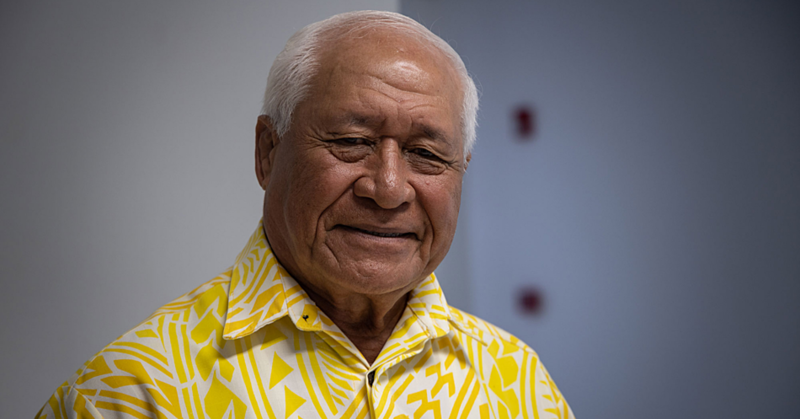 Drawn from a range of government ministries and organisations in the private sector, the new members were welcomed by Prime Minister Tuilaepa Sa’ilele Malielegaoi during the programme’s official launch at the Samoa Conference Centre last night. Prior to that, yesterday was orientation day where the participants were encouraged by the Minister of Finance, Sili Epa Tuioti and the new C.E.O of the Samoa Chamber of Commerce, Hobart Vaai. 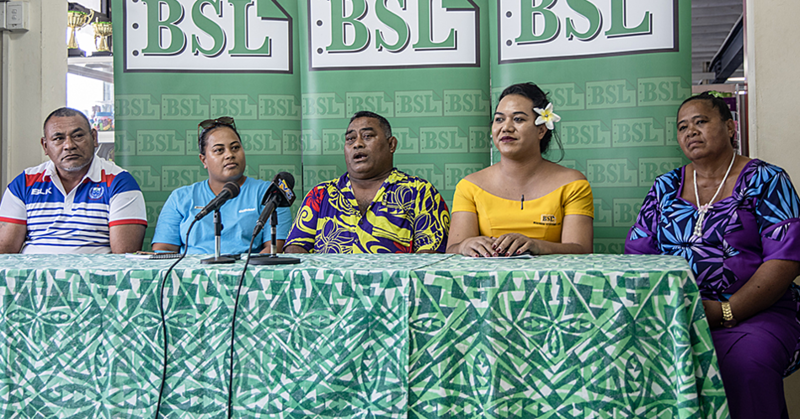 Since Mr. Vaai is new to the position, he opted instead to share about his experience of fostering a hugely successful touch rugby programme with the Samoa Touch Rugby Association. “When all seems to fail, you have to worker harder and harder to succeed,” he said. “Losing in one tournament or one game doesn’t mean that you will get the same result forever. He reminded everyone that a good leader always lead by actions and not by words. Sefulu Patu, from Leulumoega, is a new intake and is thrilled to be part of the programme. “I am very grateful to be part of this and I am excited to be here,” she said. 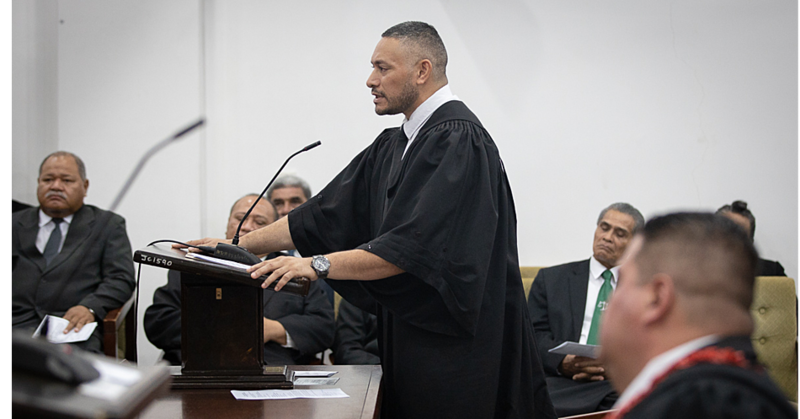 Sefulu Patu is a Church Minister’s wife and they have been working and serving at the Congregational Christian Church of Samoa at Leulumoega for 20 years. Despite being a faletua, Sefulu said her desire to make a difference was what motivated her to take up the course. “Being a faletua is not easy,” she said. “Although we’ve been working at Leulumoega for twenty years now, I felt that I still need to be well-trained so that I can impact on the lives of the people there especially the youth. She is positive that she will benefit from the programme. “In this course, you will meet and learn from the different leaders of the different government department and ministries, and from the private sectors. So you get the chance to learn and see how they deal with certain issues because the fact of the matter is that we all deal and do things differently. “A lot of people ask me why I wanted to be a part of this and why I am doing this,” she said. Sefulu said joining the programme is not so much so she could become a leader. Creating network is one of the things she wants to take away from this programme. “This provides a great network for me to meet and know a lot of people that can help me.